Touchsupport vs ServerSitters – Which Team is the Best? Hosting support from Touchsupport or ServerSitters will save any company a large amount of cash compared to creating their own support team. Providing the best technical support can become very expensive, if done in-house. It requires employees, equipment and plenty of cash. However, outsourcing your support needs can not only save you money, but also provide access to industry experts. Your customers deserve the best support possible and you deserve the ability to provide the least amount of downtime for an affordable price. When you outsource hosting to an expert support team, you and your customers benefit. Both Touchsupport and ServerSitters provide technical support for hosting companies through a support ticket system. This option is available 24 hours a day, 7 days a week, year-round. Along with providing a similar support option, both companies provide US-based support from top industry professionals. Looking a little closer at ServerSitters ad Touchsupport, it’s easy to see the differences between ServerSitters and Touchsupport. ServerSitters is not only cheaper for phone support, but they also take the time to troubleshoot issues with your clients on the phone. This is important to note because Touchsupport only uses phone support to open support tickets. This can be quite frustrating and actually annoy customers instead of help them. Another thing that stands out, Touchsupport also provides a variety of hosting packages for their customers. This is a huge issue for any hosting company. Do you really want to outsource your technical support to one of your competitors? With Touchsupport, that’s exactly what you’re doing. Since they provide hosting, you’re putting customers in touch with another hosting company when you use Touchsupport. ServerSitters also has two years more experience than Touchsupport, since they were founded in 2001, whereas Touchsupport was founded in 2003. Larger clients need a dedicated support agent, which you will only get from ServerSitters. Touchsupport doesn’t offer a dedicated agent for any type of account. This makes a big difference for larger hosting clients and you deserve somebody you can count on handling your account. You will also find that Touchsupport will bill you for additional hours if they have to use SSH to access and resolve an issue. However, with ServerSitters, any Tier 2 issues are handled with SSH and there is no billing per incident. Which Company is the Right Choice? The choice for outsourced support boils down to which type of company you’d like to trust with your technical support. Do you want to trust a company that also provides a variety of hosting packages or do you want to trust a company that only provides support and won’t compete with your business? Your business is your livelihood and your customers count on the hosting you provide to give them the edge they need. If you don’t provide the best possible hosting, with the top support team in the industry, they may jump ship to another hosting company. Consider all the options before making your decision and what you really need. There is certainly a clear winner when it comes to the battle between Touchsupport vs ServerSitters. ServerSitters not only offers a better overall choice for your hosting support, but also has no desire to compete with you in the hosting industry. With ServerSitters, you can save money, gain access to an expert North American support team and you can even use a dedicated account agent when it becomes necessary. You won’t get the same quality of support from Touchsupport. They don’t even provide real phone support. Imagine your customers calling for help only to find out all they are doing is opening a support ticket, which means they have to wait for the ticket to be handled. If you’re ready to trust your hosting support to a team of industry experts, ServerSitters is the right choice for your needs and your customers’ needs. Professional North American support, at an affordable price is exactly what you’ll receive. 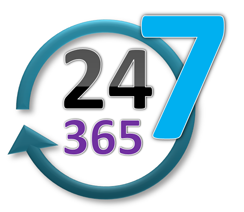 Contact ServerSitters today with any questions you still have receive the answers you need to make the right decision for your hosting support.